Photo by Steve Petteway, Collection of the Supreme Court of the United States. Image may not be copied, published (electronically or in print) or used in any way without permission. Biographical: Born Aug. 6, 1945, Lansdowne, PA. Married June 15, 1985, to Carol R. Oakes; one child, Douglas H. Wagner II. Education: Frackville, PA, H. S., 1963: Cornell University, 1963–1967, A. B. 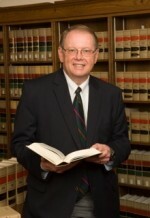 (English); The Dickinson School of Law, 1967–1970, J. D. Career: 1970–1972, Attorney, Pottstown, PA. 1972–1982, Legal Editor, The Lawyers Cooperative Publishing Co., Rochester, NY. 1982–1986, Legal Editor, The Research Institute of America, Washington, DC. 1987–2010, Reporter of Decisions, United States Supreme Court. Bar admissions: Pennsylvania Supreme Court, 1970; United States Supreme Court, 1987. Recent Publications: Role of the Supreme Court Reporter in History, 26 J. S. Ct. Hist. 9 (2001). Official Law Reporting at the U. S. Supreme Court, Proceedings of the Second International Symposium on Official Law Reporting 40 (2004), http://arjd.washlaw.edu/images/symposium04.pdf. Public Access to Supreme Court Opinions, reprinted in Stecker, Reflections of a Modern Scribe, 84 Mich. Bar J. 41 (Feb. 2005), Alexander Dallas, Yale Biog. Dict. Am. L. (2010).